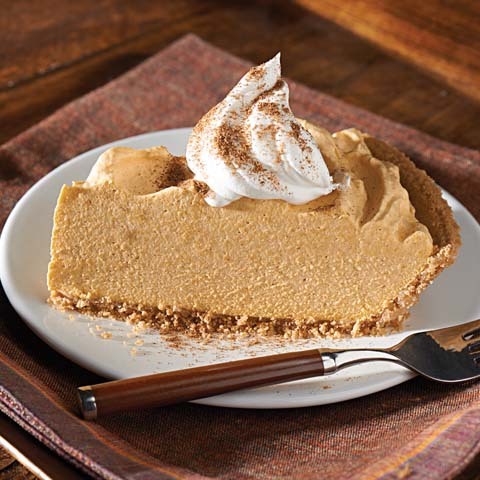 Fluffy pumpkin cheesecake with a buttery gingersnap crust: If this doesn't make you change your holiday pie tradition, nothing will. 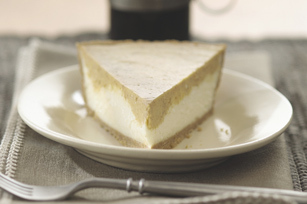 Size-WiseEnjoy a serving of this flavorful cheesecake on special occasions. 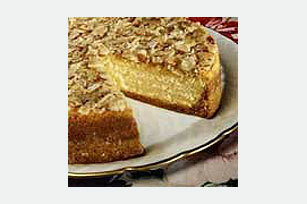 Special ExtraGarnish with pecan halves and a light sprinkling of ground nutmeg just before serving. How to Use Fresh PumpkinSubstitute 1 cup mashed cooked cut-up fresh pumpkin for the canned pumpkin. 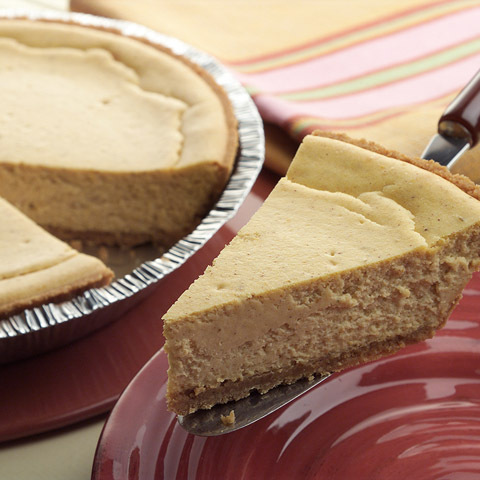 Prepare crust and cheesecake filling as directed, adding 3 Tbsp. 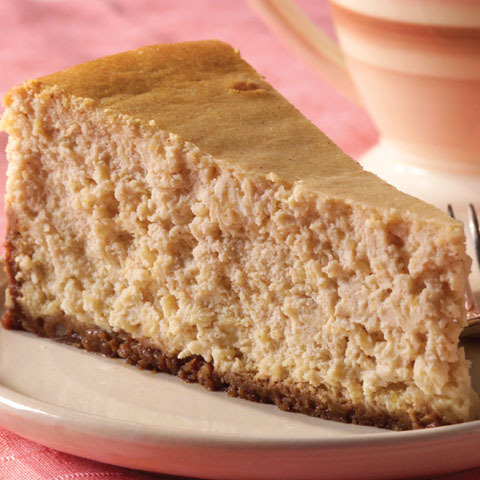 flour with the cream cheese and 1 container (8 oz.) sour cream with the pumpkin. Pour filling into crust. Bake at 325ºF for 1 hour and 15 min. or until center is almost set. Continue as directed.